Mindful that the origin of this extended weekend—the rights of workers to fair wages, hours, and bargaining powers—is still a contemporary cause, this ad puts the struggle in a distinctly 1969 perspective. 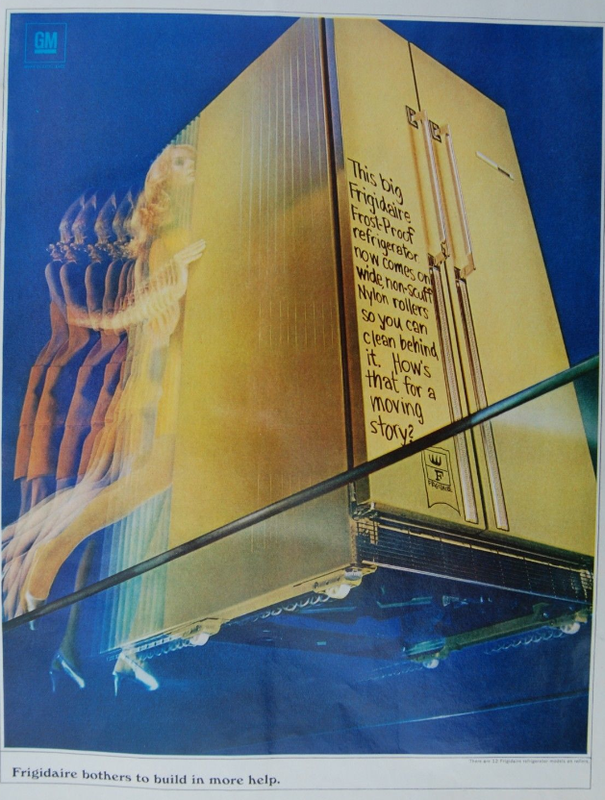 Although the glass ceiling was still firmly in place, the glass floor used by GE to illustrate its free-wheeling refrigerator casts an ambiguous light on the status of women. I'll leave it up to you, dear readers, to decide whether it empowers or exploits the homemaker.